The Dover YMCA recently added Sunday group fitness classes (Yay!) and I was lucky enough to earn a coveted spot on the schedule at 10:15 teaching Cycle Fusion. 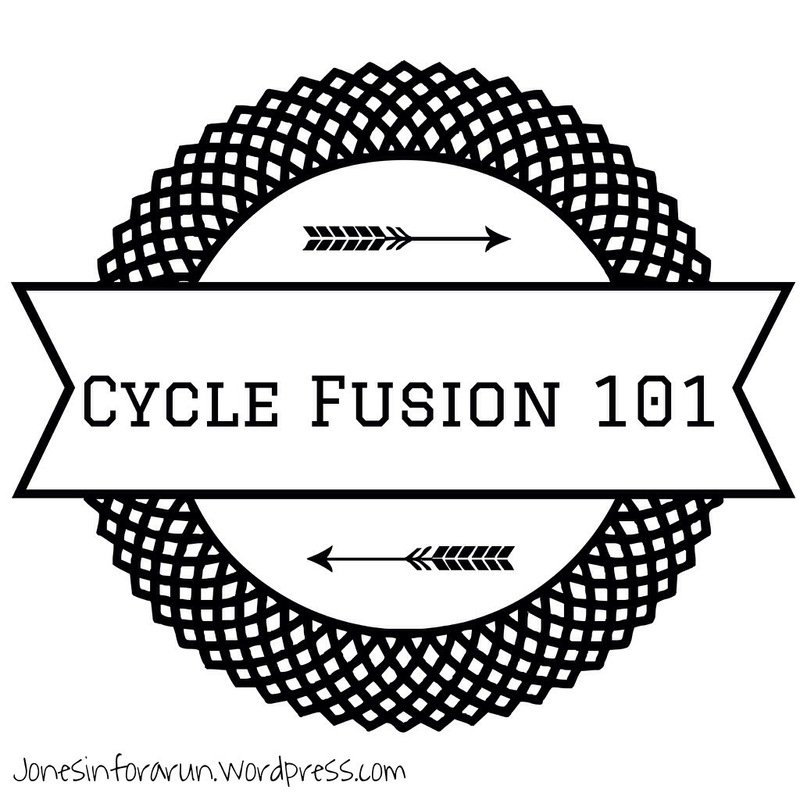 What, you ask, is Cycle Fusion? Cycle Fusion is a 45 minute calorie burning challenge – where you get the benefits of an indoor cycling class combined with cardio/ strength drills done off of the bike. Bike meets land in this high energy/calorie blasting class! Because we spend about half to one-third of the time off of the bike, this is a great class for people new to cycling who might otherwise find the seat uncomfortable from riding for 45 minutes straight in the saddle. There was an awesome turnout today for my class! It was the biggest cycle fusion class of 2014! The class had great energy, tons of sweat, and lots of smiles. Here is my playlist from class – Enjoy – and feel free to modify it as you see fit for your other fitness classes and/or runs. I loved starting this class out with a climb to Jessica’s Simpson’s “You Spin Me Round” – great beat, and even the guys were singing along and into it. Some new jams that you might not have heard of: Sleigh Bells – this group has such a unique sound! PLEASE listen to it on iTunes – let me know what you think. Also, definitely check out Kim Dotcom’s song – it is so awesome and really pushes me. This is my “underground iTunes find” – I love getting to good songs before they are on the radio! And if you want some talking points for your class, check out who Kim Dotcom really is: internet hacker, entrepreneur, DJ, and founder of Megaupload website. He is worth approximately $200 million. He is currently facing a potential 55 year prison sentence for operating Megaupload.com. Megaupload has allegedly cost the entertainment industry over $500 million in damages from pirated content being uploaded and shared through the site. Kind of an interesting back story – but his songs are awesome! Now you have a playlist and a current event update! Let me know what you think about my playlist – and if you use any of the music.